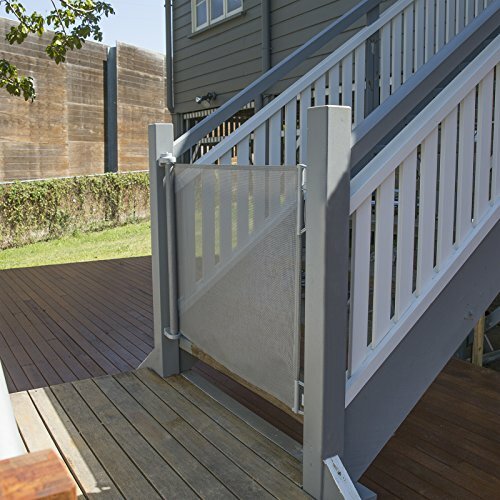 Life doesn’t just happen inside which is why we made this Outdoor Retractable Gate durable enough to endure the elements but functional enough for indoor use. Extending up to 71" wide and is 33" tall and comes with screws, catch mounts, wall spacers, shims for baseboards, and an installation guide for simple set up. Made with a durable UV and claw resistant mesh that easily retacts away and only requires one hand to operate the mechanism.